CAT FRIDAY: Who's going to be the Internet's next famous cat? Hey cat people, remember the post in which we first told you about this awesome organization called AmazeCats? Last winter the creative cat-loving folks behind the Toronto-based site hosted a fun competition — the Whisker Wars — that pitted famous Internet cats against each other in a crazy battle to find out the Best Cat on the Internet. Whoa. The claws came out and the cats, quite literally, got a little catty with each other. The one and only (yes, I am biased on this) LIL BUB won the competition, and teamed up with some of her competitors to be featured in AmazeCats’ Famous Cats of the Internet Playing Cards. All proceeds from the sale of the cute card decks ($12) go to help kitties in need through the Stray Cat Alliance, a national nonprofit that helps educate people on how to care for stray and feral kitties. AmazeCats co-founder Megan Wilkinson tells us that since launching the Famous Cat cards, the campaign to benefit Stray Cat Alliance has been incredibly successful. Help out the cause and buy your own deck. 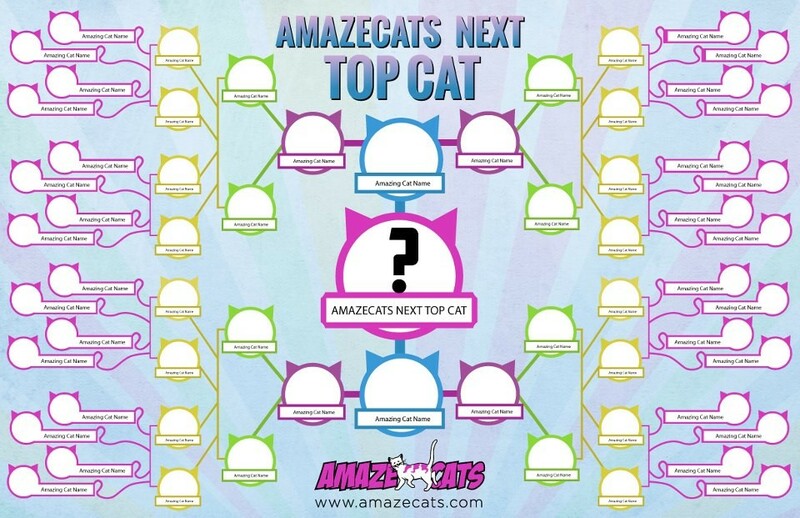 To follow up with the fun that was had during last fall’s Whisker Wars, AmazeCats recently kicked off another kitty bracket to determine which up-and-coming feline will be crowned AmazeCats' Next Top Cat. Earlier this month, fans could nominate their favorite soon-to-be-famous kitty with an online presence on the AmazeCats Facebook page. Then the top 60 nominees just battled it out to be narrowed down to final 32 kitties, who now will compete in a bracket-style competition. (If you’re feeling like there’s a hole in your life once March Madness ends next week, you can get another bracket fix with cute cats!) Voting for the Next Top Cat will take place on AmazeCats’ Facebook page, Wilkinson says. Here’s a few of up-and-comers you should keep an eye out for if you plan on following the upcoming rounds of the competition. A few of these cats have been featured in past Cat Friday posts! We knew they were stars before many people did. There is no possible way that any human could hear Pretzel’s story and not fall in love with this adorable little kitten. Born blind and with deformed and twisted legs, Pretzel, aka The Little Kitty That Could, was found on the side of a highway in Florida when she was only five weeks old. The little seal-point Siamese kitten has proven everyone’s doubts wrong that she couldn’t live a happy, mostly normal life. This tiny trooper recently received the first of several operations at the University of Florida to correct the deformities in her back legs. Pretzel has gained a following of people all over the world on her Facebook page, where her mom, Carmen, frequently posts updates on her progress and stories of the naughty kitten antics she is also known for. 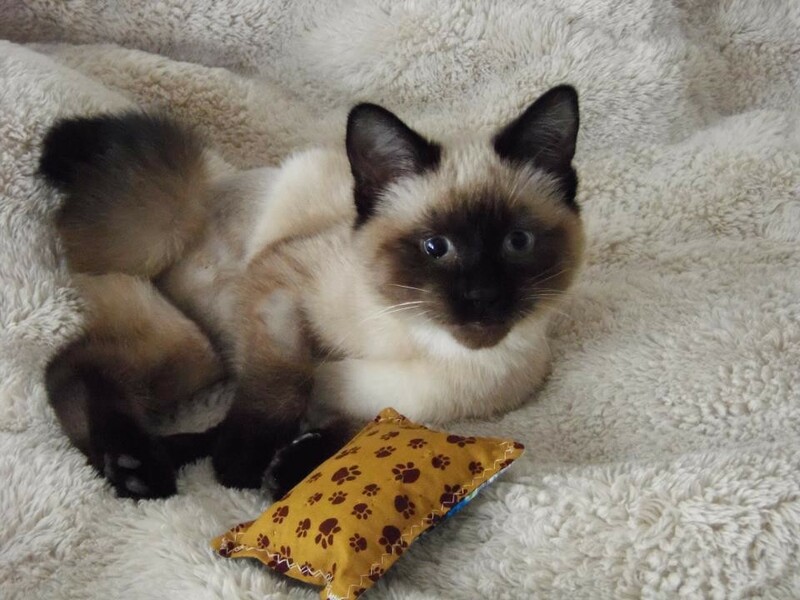 We profiled Anakin and his brother-from-another-mother, Mika, a few weeks ago! Read about this odds-defying kitty here, and follow him on his Facebook page. This handsome mitten-pawed orange tabby has also been featured in our Celebri-cats feature on Cat Friday. We’ve also written about little cutie Corky, another doubt-erasing kitty! This little guy has a similar story to Pretzel, The Little Kitty That Could. 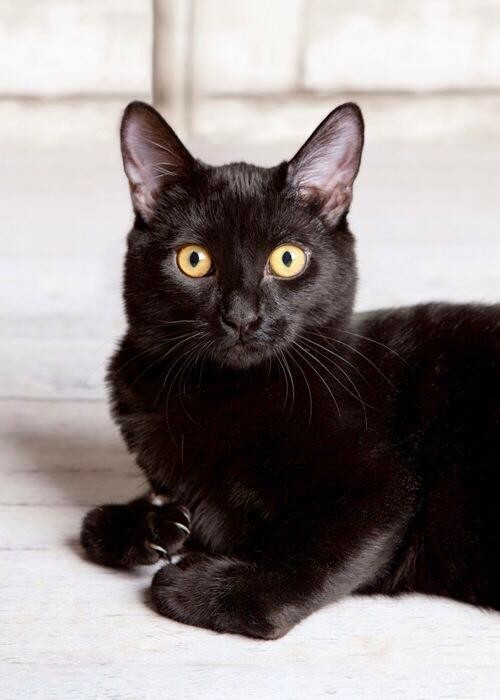 The black kitten was born with deformed front legs, and his back legs are also backwards — his back left should be his right leg, and vice versa. He, like Pretzel, also just received a corrective surgery to fix the bone deformities in one of his front legs. The New Hampshire-dwelling kitty may have been born with some physical differences, but that doesn’t stop him from having fun in any way! Little Bear’s best friend is a German Shepherd named Luna. He's also on the cover of the current issue of Modern Cat magazine. So really, he’s already a star! In case you didn’t know, Smoosh is the lucky BF of LIL BUB. We’ve written about him, too. Whatya know… we’ve also profiled Sam as a big up-and-comer in the Cat Interwebs. I’m sadly surprised to see he only pulled in a mere 306 votes, though. Come on, cat people!